Fairport is a village located in the town of Perinton which is part of Monroe County, New York. Fairport is a suburb 9 miles (14 km) east of Rochester. 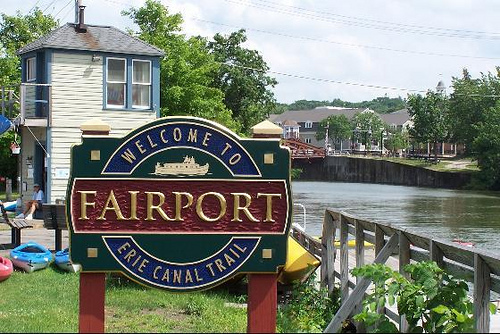 It is also known as the “Crown Jewel of the Erie Canal”.